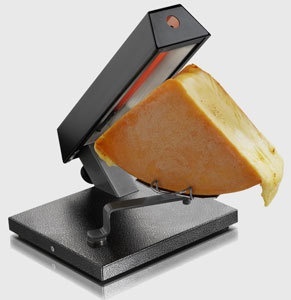 Rent this raclette machine & host your own toast-and-scrape party! Just $25 for three days (cheese not included). There is a $15 late fee if returned after three days. Select your preferred shop under the PICK-UP LOCATION menu above. Let us know date of pick up in the NOTES field during checkout.